Laguna Hills, CA – October 25, 2018 – BMW of North America, LLC (BMW) is recalling certain 2019 BMW X6 sDrive35i, X6 xDrive35i, X6 xDrive50i and X6M vehicles. Approximately 108 vehicles are suspected to have been manufactured with rear upper control arms that possibly have not been produced by the suppliers to acceptable specifications. This recall affects several different BMW models, and units recalled were produced between September 10 and September 20, 2018. According to the NHTSA Recall Safety Report, certain BMW vehicles may have been produced with a faulty part. The rear upper control arm’s pivot bolt may not have been properly hardened during supplier production, due to a failure in the production process. An arm that was not produced to specifications could break, which could then affect vehicle handling and control, increasing the risk of a crash. On September 12, 2018, several damaged control arms were noticed during vehicle assembly. The supplier was contacted, who was able to determine that certain rear upper control arms may not have been properly hardened, and identify all potentially affected parts to generate a list that was the matched with vehicle assembly records. 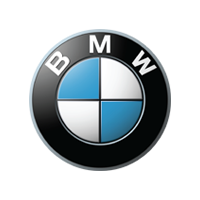 Approximately 108 vehicles were identified, and on September 21, 2018, BMW decided to conduct a voluntary safety recall. BMW has not received any reports of any accidents or injuries related to this issue. Owners will be notified by First Class mail and instructed to take their vehicle to an authorized BMW center to have both rear upper control arms replaced for free. As affected vehicles are covered by the BMW New Vehicle Limited Warranty program, there is no need for owners to cover the cost and no need for a reimbursement program. Notification to owners is planned to begin and end on November 12. Owners may also contact the National Highway Traffic Safety Administration Vehicle Safety Hotline at 1-888-327-4236 (TTY 1-800-424-9153). The NHTSA Campaign Number for this recall is 18V680000.